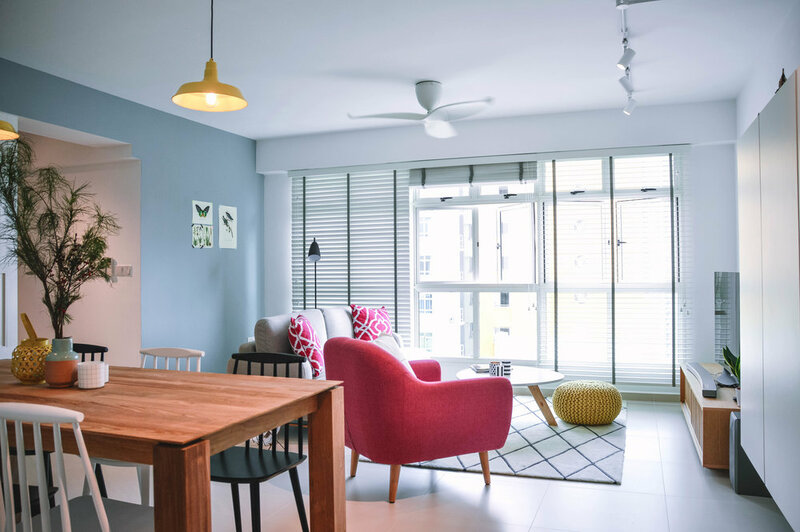 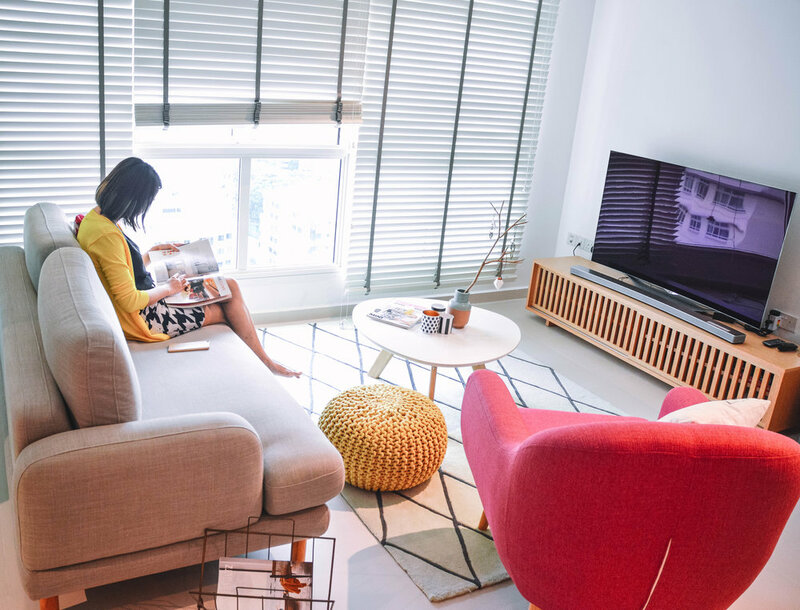 “A happy, light and airy home.’’ This was what our clients, a young professional couple tasked us with on their brand new 5-room HDB apartment. 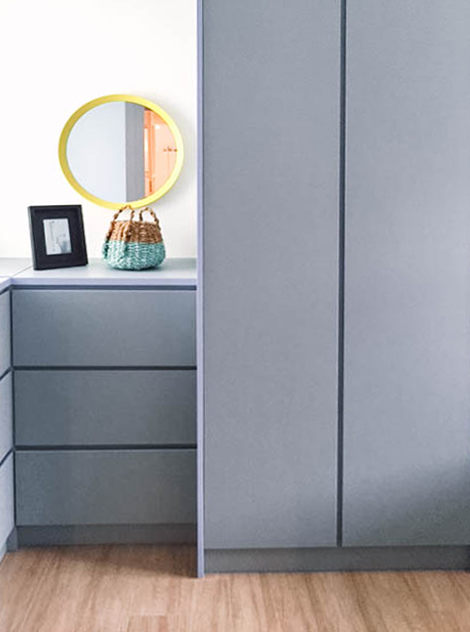 Leveraging the essence of white to off-white tones of the modern Scandinavian design philosophy, we designed the starter home from scratch while injecting celebratory brights, and playful pieces selectively, so as to bring out a well-balanced space that is warm, inviting and filled with positive energy. 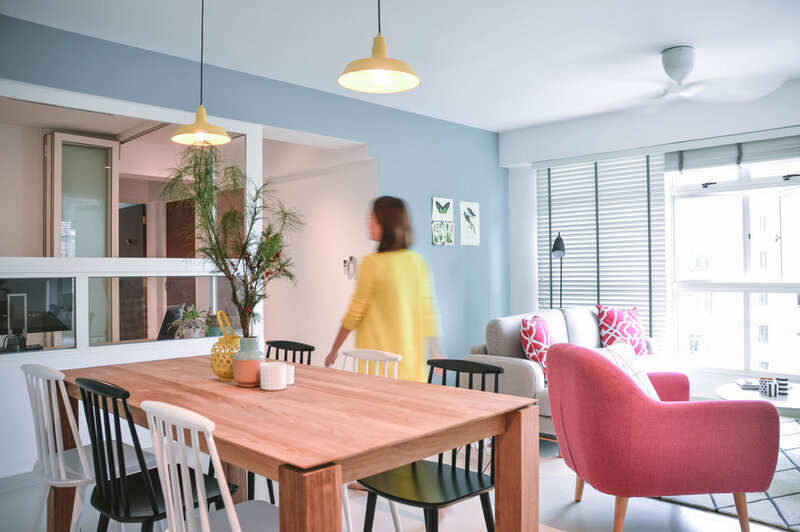 Cool tones of the wood-inspired floor sets the stage for pops of both muted and bright colours visible on the walls, furniture and carpentry, while natural light streams through the windows creating a light and airy atmosphere. 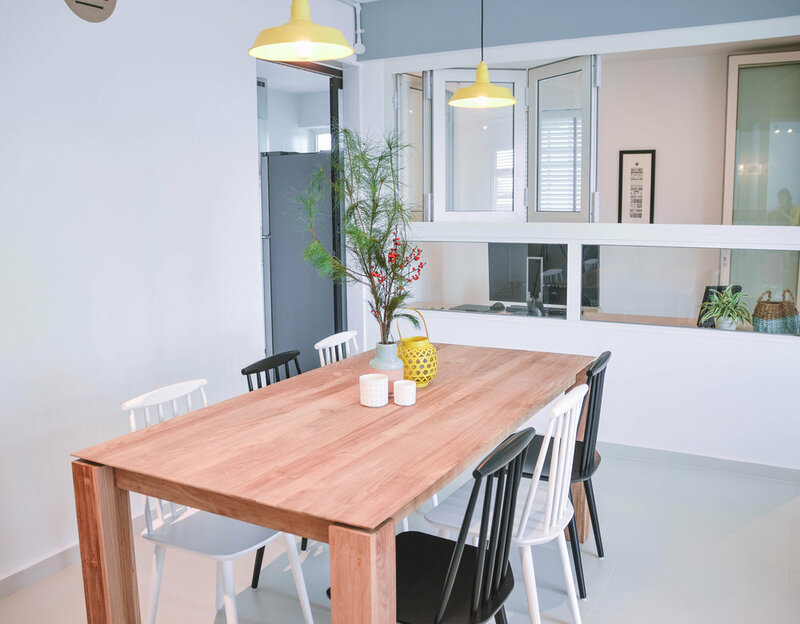 Sufficient storage was designed to work cohesively with the rest of the space, while providing the couple with effective organization in the living space, kitchen, bedroom and bathrooms. 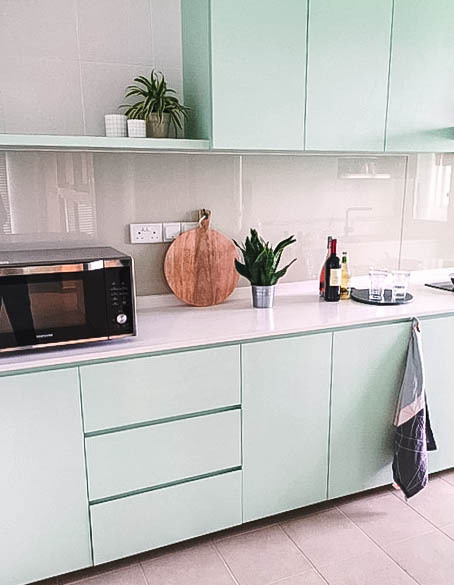 Enter through a sliding mesh glass door and be greeted by a bold and refreshing mint green kitchen, while an extendable solid wood dining table right outside works perfectly for 2 or a party of 8. 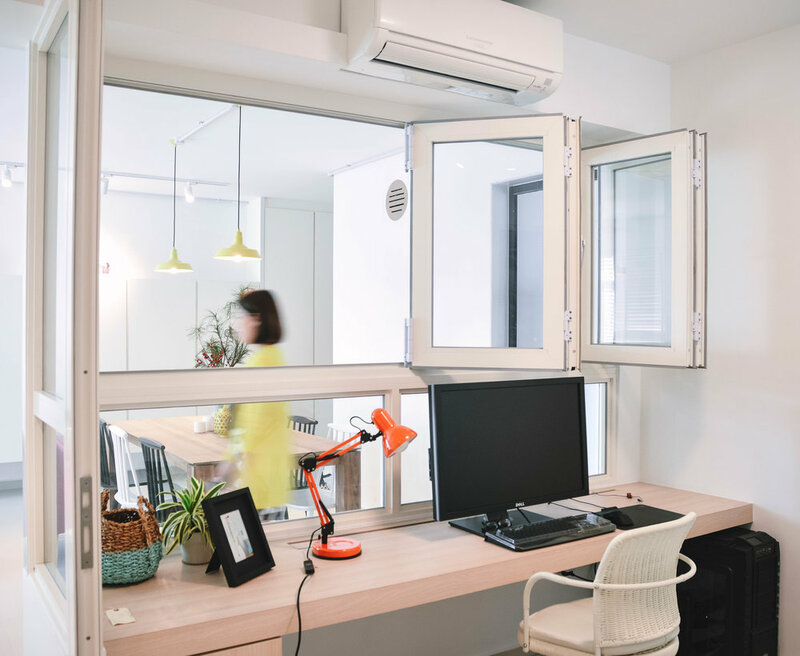 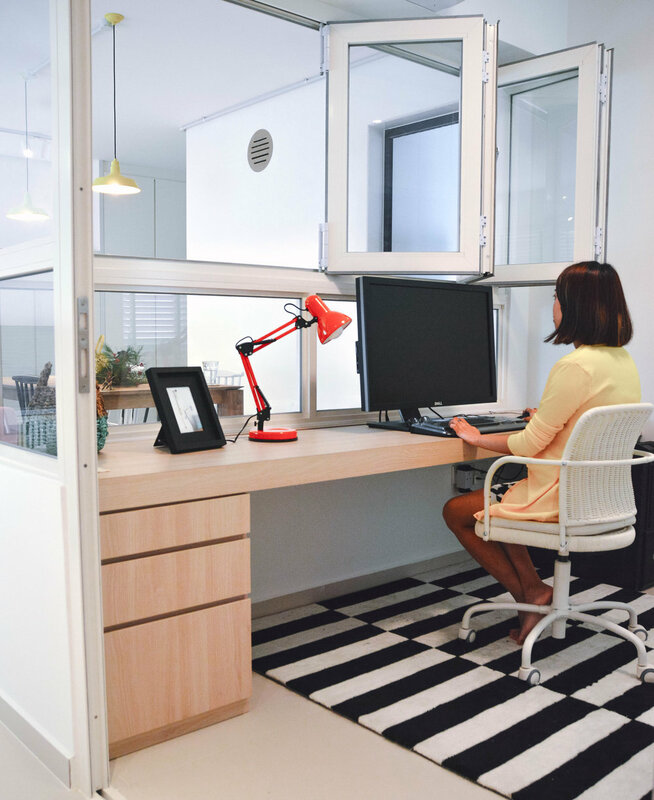 A study room was also designed into the space, accompanied by off-white accordion windows that provides the flexibility of opening or closing off the space when needed. 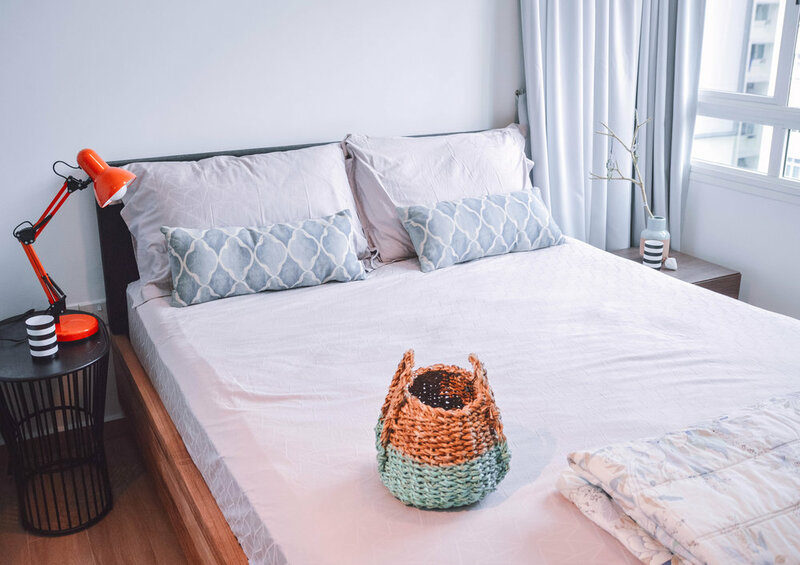 And finally moving onto the Master Bedroom, we introduced slightly warmer tones such as a blue-grey wardrobe and teak furniture to create a calm and cozy retreat.